Wake up your face with sheer washes of the most natural looking colour. 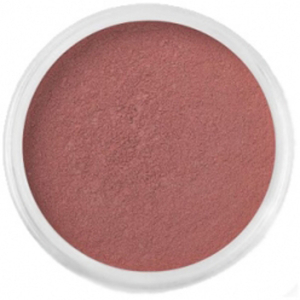 bareMinerals Golden Gate is a powder blush that gives you a beautiful, healthy tone that looks natural, because it is, and creates a radiant rose colour with a glow. The blush has complexion boosters that infuse colour into your skin so it looks like it’s coming from within. The bareMinerals Blush is made from 100% pure bareMinerals and absolutely no unpronounceable chemicals. BareMinerals acts as a physical, safe, non chemical block against the sun’s harmful rays. They contain calming and soothing ingredients making them ideal if your skin is sensitive.